Oh boy cloves, April 25th is gonna be a big night for us. We’re performing 2 shows at 2 different venues! Our first show will be at The PIT at 8pm, get your tickets early! Then at 11:59 prompt, catch us over at UCB for Backyard Brawl! The winner is decided by votes, so come and show your support. Oof, if you need us we’ll be taking 54 communal naps in preparation for these shows. BYE! 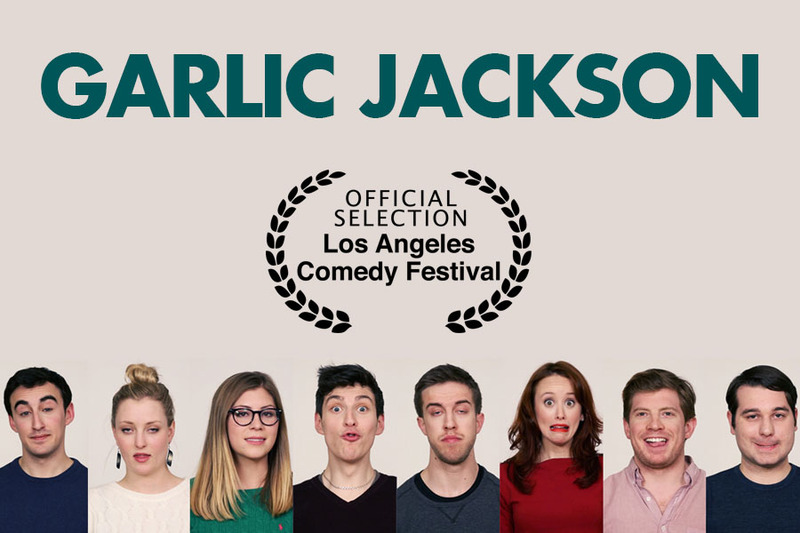 We are beyond proud to announce that we will performing 2 nights in a row at this years upcoming LA Comedy Festival! Make sure to get your tickets early and catch us May 2nd at 9pm and May 3rd at 9:30pm! We’re gonna be so tan! Garlic Jackson Featured on EW: Must List! My girlfriend watched Beyonce and now she is dead. The jobs’ll come out tomorrow. As seen on Entertainment Weekly Hypervocal, Fast Company, NY Daily News, io9, and lots more! Shermit the frog is hopping mad. As seen on Deadspin, Collegehumor, USA Today, Buzzfeed, FOX Sports, CBS, Comcast, Perez Hilton, Huffington Post, and tons more!